The Chatsworth community of insightful academic leaders, nurturing teachers, earnest students and supportive parents is excited to welcome you and your family to our campus. Learn more about our IB inquiry-based programmes for ages 3+ to 18 and our school values, tour the campus led by our own students and hear first-hand from them about school life at Chatsworth. Interested to know more about attending school and student life here at Chatsworth International School, we welcome you to make an appointment with our Admissions for a personal campus tour at your convenience. Enjoy a waiver of application fee and 20% off confirmation fee for enrolment in Chatsworth Bukit Timah. Valid till 31st May 2019. Terms and conditions apply. Shuttle bus service from Downtown line Sixth Avenue MRT station. 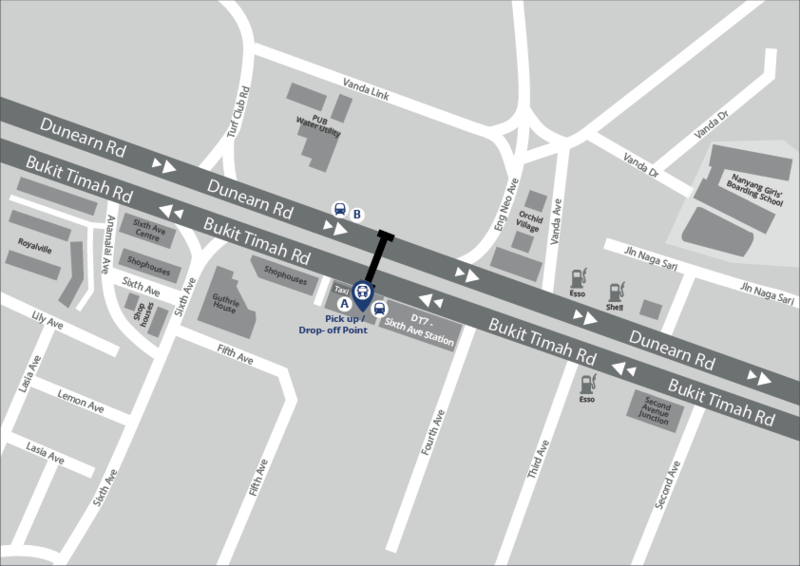 Last shuttle bus departs Sixth Avenue MRT for the campus at 11.20am.